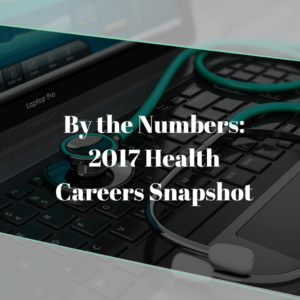 These reports are a great resource for both healthcare companies looking to hire and job seekers alike and provide a detailed snapshot into the current state of the healthcare job market. Below, we look into some of the highlights. The survey collected responses from the Health eCareers database of 19,754 healthcare job seekers, including nurses, administrative staff, physicians, physician’s assistants, nurse practitioners, radiologic technologists, pharmacy professionals, healthcare IT professionals and more. According to the survey, there is a growing job search confidence among healthcare job seekers, with 44% reporting that they are very confident in their search and 42% are somewhat confident. This means that nearly 1 in 9 healthcare professionals is confident in their job search, revealing that there are plenty of open jobs on the market. To go further, the occupation most confident about job searching is physician’s assistant (94%), followed by executives and administrative and operations professionals. However, between the most confident and least confident occupation surveyed, there’s only a five percentage point difference. Due to shortages in key professionals and growing demand, hospitals, clinics and other healthcare providers, healthcare organizations, hospitals and clinics will need to work even harder when competing for new hires. It’s clearly a job seeker’s market right now, with occupations in high demand reporting extreme confidence in their job search. Because more jobs are available than professionals to fill them, salaries are trending upwards. This is true for both current and new employees, as companies fear the loss of their best workers. In these scenarios, companies are typically more willing to pay higher wages. This has created a lot of opportunity for healthcare workers, with 87% reporting that their pay was more than a year ago. While NP’s, PA’s and Physicians all reported compensation increases, NP’s and PA’s saw their total compensation increased more than physicians. Due to the physician shortage currently happening right now, many healthcare providers are hiring more NP’s and PA’s to fill the gaps, which will likely lead to even higher compensation for new hires. In most cases, current employees saw their compensation increase as a result of merit raise, followed by mandated company-wide increases, and changing employers. To keep up with demand, competition and worker shortages, most healthcare companies are using various motivators and incentives to attract and retain employees. These incentives range from increased compensation and time off to flexible work hours and location. While 61% of employers report using incentives, perhaps the more interesting observation is that 39% of respondents reported their employers don’t offer any motivators at all. Among survey respondents, 57% reported that they are content with their current job and employer, while 43% are actively looking for better opportunities. Most indicated higher compensation, more rewarding/challenging work, better hours and the desire to work for a different organization as the top reasons for making a move. Over half of respondents said they would be willing to relocate for the right opportunity as well. To make the jump to another company, 43% of survey respondents said they would need a minimum of more than a 10% increase in salary, while 38% said they would be satisfied with a 6-10% increase. At HCRI, we always stay vigilant when it comes to the latest industry trends, news, and predictions. We’ll continue to break down these reports into a simpler and shorter format going forward, so please check our blog for continuing coverage of healthcare reports. If you’re in need of a new hire or want to learn more about how you can advance your career, contact our recruiters today.